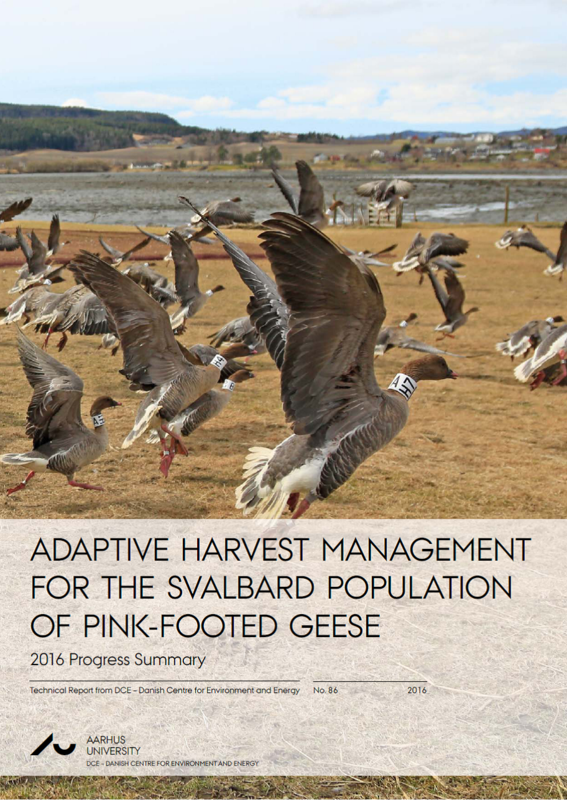 As part of the adaptive harvest management (AHM) of the Svalbard pink-footed goose an annual review of the harvest strategy has been and the 2016 Progress Summary Report has been published. For the initial Adaptive Harvest Management strategy for the 3-year period 2013 – 2015 an annual harvest quota of 15 thousand individuals was recommended, to be shared by Norway and Denmark. The 2016 report reviews the last six years of harvest and population status data. The optimal harvest quota for the 2016 hunting season is given as 25,000. The large increase in quota compared to that during first three years of AHM reflects stakeholders’ desire to reduce population size to the goal of 60,000, recognizing that the population size remains relatively high and above-average production is expected in 2016 due to a warm spring. The annual harvest quota is expected to average about 8,700 (sd = 9,600) over the long term, although high annual variability in the annual quota can be expected. The optimal harvest strategy remains “knife-edged”, meaning that small changes in the population status can precipitate large changes in the annual harvest quota. This is recognised as a concern to hunters, and the IWG is actively investigating ways in which large swings in harvest quotas might be dampened. For more details please see the Adaptive Harvest Management Report: 2016 Progress Summary in the Annual Reports section of this website.